It is imperative we combat the destruction of Mother Earth with ethical business practices, responsible eco-conscious living, technological advancements, innovative systems, infrastructure and most of all: engagement, education and teamwork. Sustainability is among the most important global issues of our time. The fragile eco-systems, reliance on outside sources for many goods & services, waste management issues and dependence on tourism make Caribbean islands especially vulnerable to environmental damage, economic devastation and the health/wellness issues that come with it. The United States Virgin Islands (USVI) face major environmental challenges including growing waste output and the looming 2020 closure date of near-capacity landfills, toxic storm water run-off, high energy costs and lack of viable recycling options. Most of those responsible for the devastation aren’t even truly conscious of their impact. It is our belief that with awareness, education and teamwork, enemies of the environment can be transformed into warriors for the cause. 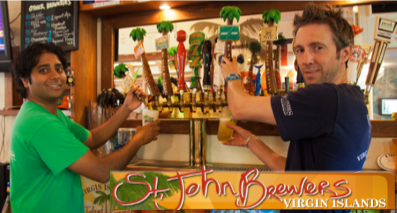 Sixty-seven percent of St. John, the smallest of the US Virgin Islands, is preserved as national parkland and it is a national treasure beloved by residents and visitors alike. But with more than a million visitors a year, hundreds of times greater than the number of residents, even St. John is in danger. As responsible citizens of the world, it is our responsibility to find solutions not just for ourselves but to better earth itself as pollution and climate change threaten the world as we know it. Our goal is to combat the assault on USVI’s natural resources through a multi-pronged approach, with the goal of establishing USVI as an eco-destination including vast improvements throughout the territory. St. John is the smallest and least developed island of the three and IGLA is based here. It is our aim to make it our primary focus initially: the “green jewel” in our crown. Ultimately it is our objective to institute meaningful change throughout the USVI, success that could be mirrored in other locales throughout the world. Promote concept of Rethink before one purchases an item. Do I want it? Or do I need it? Reduce consumption which will contribute to waste reduction. Encourage Reuse and Recycling along with clean composting. Practice: Rethink, Reduce, Reuse, Recycle. 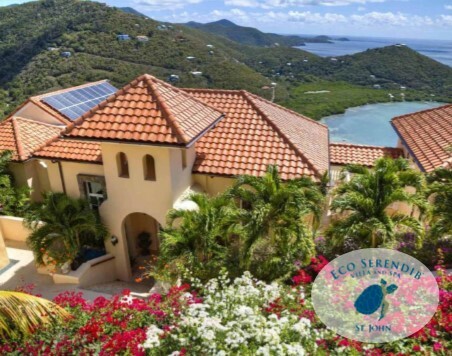 St. John has considerable attributes that provide a solid foundation for becoming among the world’s greenest islands. Beginning with smoke free beaches, the island will progress towards an eco-destination by becoming free of plastic water bottles, plastic straws, single use plastic shopping bags, Styrofoam, and other products that harm the ecosystem. St. John shall become a plastic free island before achieving the ultimate goal of producing zero waste. This would not only be beneficial to our residents and the earth in general, but also to our economy. A Greenest Island designation can have valuable economic impact in terms of tourism. Conversely, if we continue on the current path, the consequences to the health and well-being of our citizens – including our economy – could be dire since tourism, our most important industry, will wane. Trash disposal has long been a major issue that threaten St. John’s fragile eco systems. We hope on day soon to become a plastic-free island, and are already making steps towards this goal, with the passing of our Plastic Bag Ban. Our proposed initiatives focus on rethinking, reducing, reusing, recycling, along with upcycling. If we are able to reduce the amount of garbage transported to St. Thomas’ landfill, it will help in complying with the Environmental Protection Agency (EPA) closure mandate. It will also save significant dollars in barge transportation fees. We are excited about not only reducing our carbon footprint, but also setting an example and offering a blueprint for other islands and communities around the globe. IGLA is an organization dedicated to preservation, conservation and environmentally responsible building & general business practices on St. John and beyond. 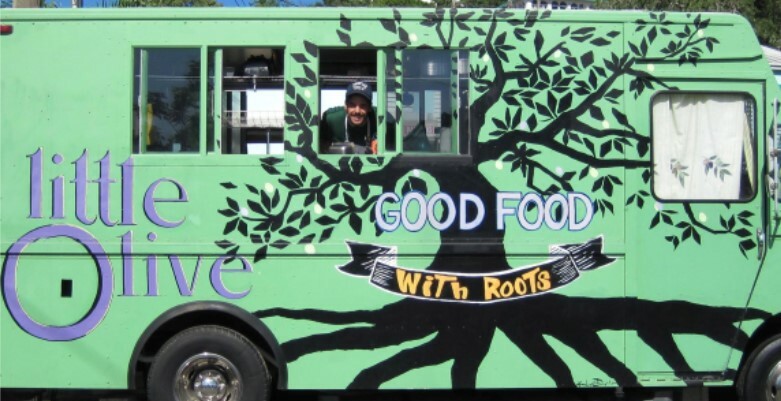 It established the island’s ReSource Depot, which has allowed 225,000 lbs. of building materials to be repurposed/reused to date, items that would have otherwise wound up in a dump. The organization also launched Green Building and Green Villa Certificate programs that encourage builders to use eco-friendly practices. 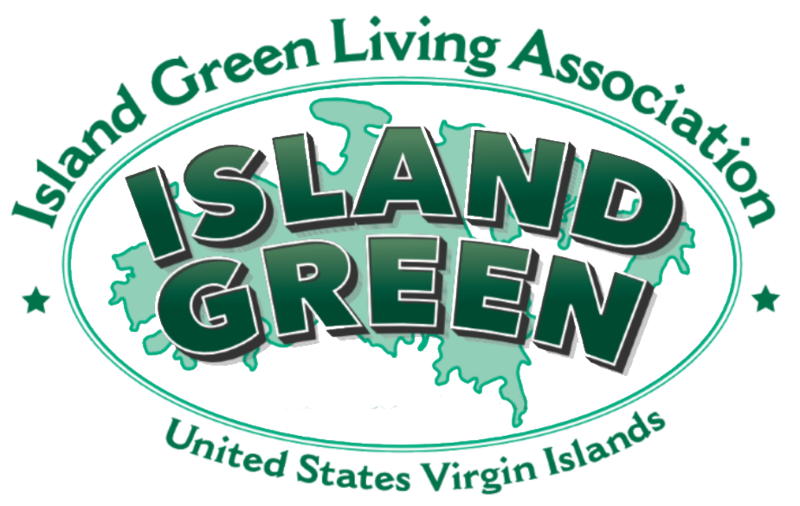 In 2015, IGLA launched the Preserve St. John initiative to combat recycling issues on the island starting with aluminum and will formally institute the Green Living with Zero Waste education program in partnership with the USVI Department of Education in 2016 to encourage and reward green practices, creating the next generation of passionate “Green Living” ambassadors. Partnership/coordination and cooperation between various government agencies/departments along with environmental/civic organizations and the private sector. The idea is to pool resources and work together. Accelerate the adoption of aggressive solid waste reduction, reuse, composting, recycling, and related job creation activities. Education including school curriculum to teach benefits of recycling, composting and environmentally responsible practices as well as the devastating environmental impact without such practices. Build excitement and engagement of all residents including youth — instilling ownership and pride in the initiatives and progress. Initiation of the Green Living with Zero Waste educational program with a formal announcement by the Governor at a school assembly. IGLA will create a presentation that will be shown to each class. Any items that cannot be upcycled will be crushed/baled and shipped to mainland U.S. through cooperation of companies that transport empty containers back (Crowley, Tropical, Home Depot, etc.). Request the donation of space to transport recyclables to Miami. Negotiate a marketing agreement with end-users of recycled aluminum, plastic and paper/cardboard to purchase at market pricing. 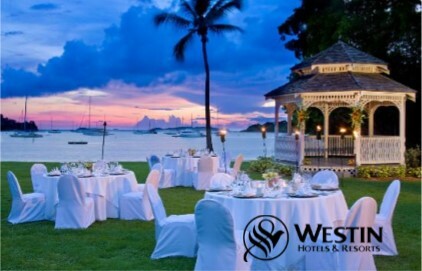 Propose usage of “Recycled from Virgin Islands” logo as marketing. Event will focus on examining the challenges, benefits and vital sustainability solutions in the Caribbean and beyond. Lay the groundwork for a “green paper” with actionable items and a set timetable, feature case studies and best practices from experts and provide a forum for education and engagement. Individuals, companies and organizations that are leaders in the area of sustainability, green initiatives and environmental education will be honored. Representatives from the UNEP, EPA, UN, Caribbean government offices, universities, environmental/community organizations, media, and business leaders will be featured. Organic, pesticide mitigated environment, reduction of the carbon foot print. Introduction/education of reef-safe sun protection. Introduce natural gas powered shuttle bus services to transport visitors from key locations to Hawks Nest, Trunk Bay, Cinnamon Bay and Maho. This effort will reduce dependence on cars and encourage car-pooling. Educate/promote green initiatives through public service announcements, visible posters in public places/port authority approval for signage for maximum exposure. “Preserve our Paradise Day,” perhaps in conjunction with Earth Day; Keep Our Island Beautiful campaign. Further promotion through flyers for employee cafeterias, buttons, bumper stickers for cars. Seek engagement of hotels and restaurants, grocery stores, etc. In association with the Tourism department, we could potentially work to establish an eco-tourism destination status, incorporating additional features and highlights. Grocery stores and all others selling fruits and vegetables to have signage encouraging composting and ways to reduce food waste. Bio diesel fuel from restaurant oil. Encourage solar, wind, renewable energy to cut carbon emissions, VI Energy office involvement. Install EV station in Cruz Bay and Coral Bay. Encourage electric cars; ban sale of fossil fuel vehicles by 2025. Investigate feasibility of fleet of clean-energy motorized bike rentals. Mandates for new construction: larger cistern and 6 inch gutters for collection of water; include 50% green elements. Product identification by Department of Planning and Natural Resources. Ban on sunscreens that contain oxybenzone, which disrupt coral reproduction. Introduce home gardening and composting in limited confined space. Educate and encourage compostable products rather than biodegradable products. 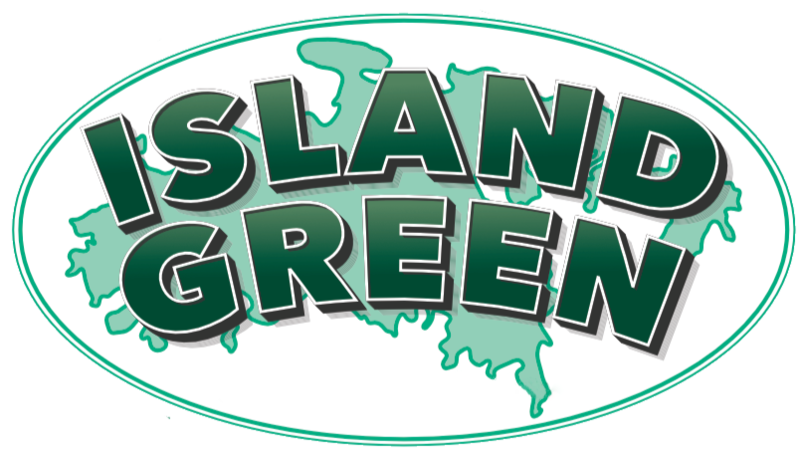 Stores to carry a section dedicated to Island Green Living resources such as non-toxic cleaning products, non VOC paints, biodegradable products, etc. Promote volunteering for beach trash pickup/indigenous vegetation plantings on the coast to combat erosion. It is vital that we have a comprehensive plan to fight the attacks on the environment in the USVI. Our residents, the eco-system and the health of our tourism industry, the lifeblood of the island, depend on it. This document sets forth an outline of our battle strategy but there is still much to be done. We hope for the support of the governor and cabinet, government agencies along with civic organizations to support the mission. We invite others to contribute and expand on this topic. We are looking to identify corporate sponsors and business partners that will benefit from being involved in this disruptive approach to protecting the environment. If we all work together as ONE, we can accomplish and preserve our islands from environmental and economic devastation.